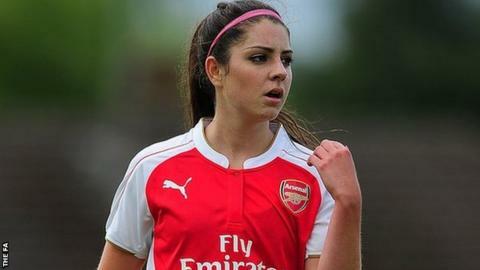 Doncaster Rovers Belles have signed Arsenal Ladies' teenage midfielder Carla Humphrey on loan. The 19-year-old netted on her debut for Arsenal Ladies in 2013 and scored 22 goals in her first full season with the north London club. Humphrey is the Belles sixth signing following their promotion to Women's Super League One. "I want to get some more experience and help the team do as well as we can," she told the club website.